State of the art photo-rejuvenation skin therapy (LED) works harmoniously with your body’s own natural processes of synthesis and repair to restore an overall state of balance and wellbeing to the skin. Working with the power of light to make you glow! Photo-rejuvenation (or Light Therapy) is a skin treatment procedure proven to counteract the effects of ageing, reduce redness and clear acne-prone skin. RED light therapy (wavelength ~640nm) is anti-ageing, specifically targeting more mature skin types, the light stimulates collagen and elastin synthesis, firming and tightening the skin. It also has an anti-inflammatory effect and helps to balance pigmentation. 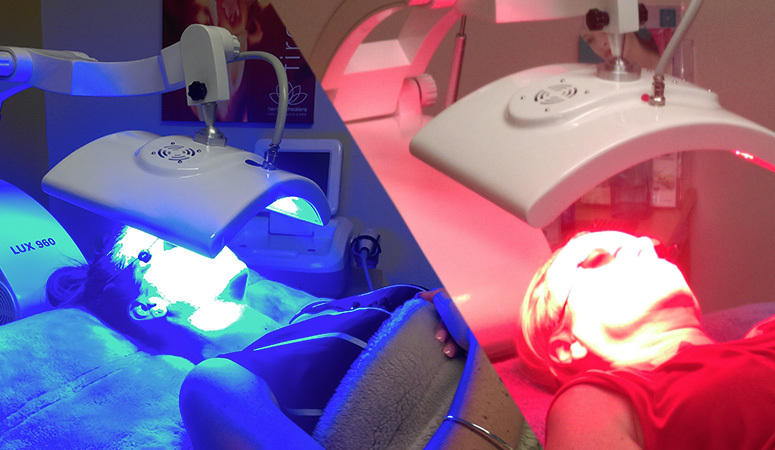 The higher frequency BLUE light therapy (wavelength ~430nm) is used for the treatment of acne; the BLUE light targets and destroys the acne vulgaris bacteria. It also helps to reduce acne inflammation and accelerate the healing process. Combine your favourite Heritage Healer’s facial treatment with LED Light Therapy to enhance and power your facial to a whole new level of performance.